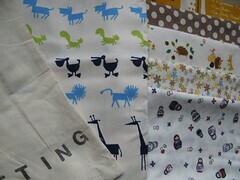 Noo also gave me a bag of the most fabulous japanese fabrics from her trip out there last year. There’s a metre of each of these…..now what to do with them. I need some inspiration to strike!